I seem to be blogging more often these days. But somehow I know its not going to be this way for too long. But for however long it lasts, I guess it will be cathartic for me. In addition to a lot of things. I happened to be discussing wearing anklets with mom. And then somehow the thought went to the temple elephant. As a kid I remember how the elephant belonging to the temples would be paraded through the streets and we would vie to feed it with something, usually bananas or reach for a coin to gingerly place on its trunk and then lightly step back, expecting the massive trunk to land on the head, signifying the blessings that we look forward. And when the trunk does land on the head its a combination of plop and thud. Plud. Maybe, there is a new word. I didn't know about the tooth fairy and all that then. But there was a different concept I came to know of. I was advised to bury the tooth that fell off on the path that the temple elephant came for a stroll. So there I went, preserving my teeth and then burying them on the road. Along with a couple of other children. The point was, if the elephant happened to step on the area where you had buried the tooth, then it was *certain* that the money will pour through the roof. So I thought, like a lot of other kids that I can get my mother whatever she wanted if money poured through the roof or whatever else it was. Fairy tales helped irrigate my fertile imagination. And then I waited. Nothing happened. We moved out of the area and shifted some place else. I still wonder where that temple is and what it is like now. Whether the elephant is still there. On that note of an elephant, I had a beautiful time with Shanti the elephant gifted by Chevalier Sivaji Ganeshan to the Thiruvanaikaval temple. I think she has cataract in one eye. Or looked like that. Don't know whether elephants have cataract. I love elephants and somehow when there were times when we were looking for a divine omen, an elephant would be there. Sometimes in busy areas where you don't expect an elephant to come. It happened once when we lived in Thiruvanmiyur. I was worried about my Math big time. Thought I would flunk. Went into depression. My mom had a vaendudhal/mannat at almost every temple in the world. And we had taken the auto that day to come back home and an elephant stopped the vehicle just as we neared our home. We don't know which temple it belonged to. The driver was aghast and thought he was going to be trampled. But the elephant came to us, pushed its trunk in and 'blessed' us and went on its way. And I feel like I have a special bond with elephants. Then, there was a time in my life, when mom had to work full time, nights and days on her documentary film. I was in 4th grade. Push came to shove and I ad to go to boarding school. There was no way out. And after quite a bit of crying - well which kid would want to go to a hostel - I went to the hostel. And I must say I was the only one given a five star treatment by the principal and matrons and needless to say I was bullied left right and center, by other kids. Those 16 months were partly good, mostly bad. I would be in the sick room most of the time. I would wish that I would get fever so that I could go to the sick room so that I can escape being in the dormitory. I remember I had temperature the day I landed there. Was sent to the sick room and because I was new, they all took great care of me for the first month. The superiors, teachers, matrons and the principal would always take very good care. It was the other kids I was scared about. No matter what I did, I would be whacked. And at that time I was a class topper. Got straight 100 even in math. Then it went downhill. How and why I could never understand. My principal then, would take me out to her sister's house. If I was in the sick room she would pay me a visit everyday. If I were well, I would be spending at least two hours at her residence which was part of the school building. She would buy me clothes. Take me to the school farm on solo trips. I can now understand how it must feel when the principal chooses to be special to one child. But then I didn't know why they were angry. I also had a strange issue. I would finish the entire year's syllabus on a marathon 2-3 day sit through. Finish all the exercise books and then tell the teacher "finish teacher". Also, when I was in Bombay I remember my kindergarten teacher slapped me because I had finished the entire math, english and drawing workbook in one day. She was a youngling and she had then burst out crying. Mom came, saw the mark on my cheek and asked whats up. And she asked her to buy me as many books as I needed and that she will pay for it. This finishing-up fever continued for a while - until the hostel period. I don't remember doing it after that. While at the hostel there were girls who would tell me that if we sharpen the pencil, save the shavings and put a lot of it in water, then an eraser would 'form' overnight. And then there was another girl who told me that, brushing your teeth until your gums bled is the right way to brush. A lot of kids did that, and ended up taking medication in the sick room. And then another one said that if we save the seeds from the watermelon we eat, we can bury that and a plant will sprout with the watermelon. And we can make our own. I was very interested in this idea. So off I went burying the seeds whenever I could. Watched it everyday. No plant happened. Then there was another girl, who studied with me, Vijayalakshmi I think, who was great at telling stories. Her dad had been a theatre owner and she had the amazing capacity to narrate an entire movie, scene by scene, dialogue by dialogue. It would be like listening to a movie. She told me several movies like that. But I only remember her telling me the story of 'Valli'. She would even say which song came where, sing it as well. When I saw parts of it later on TV I was struck by her capacity of recall. She was hardly 11 at that time. And there was ammamma at the hostel. She reminded me so much of my own grandmom. I would spend a lot of time with her. And there was this cassette which played Sai Bhajans which had this particular Marathi Bhajan which would go "Kaakad aarati karee to Sai Naath deva... chinmaya rupaka karee devu..." something.. the kids who heard that will be all excited. So would I. My name came in a song! So much of my childhood that I remember vividly. Surprisingly. And so much that is totally wiped out. I also remember, sometimes, I would cry and wait at the hostel gates for mom to come until the Principal would ask me to go to the room and say that mom would come tomorrow. When I asked mom recently why she did not come to visit me often, she said it was tough for her to stomach because she would cry for hours on end that I had to be at the hostel. That her stomach would be in knots. While there I would wait for the magic words "Chinmayi!!! Parents!!!" That would be the call to whoever had parents visiting. Only the name would be replaced as and when necessary. My ears were always open for that. And when I heard that particular phrase I would run like the wind, out of the dormitory, through the corridors, down the stairs, jump down the landing and into her arms. And I remember I used to ask her for hot curd rice. I never understood why I wanted Hot Curd rice of all things. But thats what I wanted. Then. But yeah, if I fell sick I knew mom would come. So I would pray that I fall sick. And it looked like God listened to me then. There were so many things that happened at the hostel. Things that I don't want to write about now. Don't know whether I would. Not that it was scary or anything but it was just tough on me. And tougher on mom. So many times I wonder how easy it is to be a child. There was no world and anything else that would murk up the clear waters of the child's mind. Would the world be a happier place if we were all children? But maybe sometimes, it would be nice to pray that we have the heart of the child. Devoid of the cloaks of ego and weirdness and whatever else cloak it. Because I think the heart is never sullied. Maybe thoughts are. Thought patterns are. And there are cloaks. Or maybe cling-foils. Cling-foil might be a better term. Because its easy to remove a cloak. Tough to remove a cling foil which probably melts a wee bit. To pull it out takes grit, determination, patience and a lot of effort. Most of us don't want to realize that we have the cling foil around our hearts. We live a life of denial or paradoxically, a knowing ignorance. This day. This time. I wish that I have a child's heart. No cloaks. Foils. Nothing. Clean. Clear. Pure. I wish that I never fall into the trap of an ego. And I pray that my wish be fulfilled. Cos, I know thats all I can do. Pray. I am not about to knock of a tooth to bury it on the path of an elephant. The roads are all tarred anyway. A very nice post! Capturing the essence of childhood in a post is not an easy thing! Good one again! wow !wonderful train of thoughts ...was very touching .. It was interesting...talking about your childhood days !! I'm sure everyone in this world will go back in time and think..ofcourse some have good and some have bad memories. The most amazing thing about it is that...those memories and experiences, they are so unique to each and everyone and they are what that makes you what you are today to a great extent. Those memories keep crossing my mind once in a while and I think..where have all those days gone !!! BTW I have some special liking for the Elephants.. :-) cant say why..maybe b'coz of its good nature ?? innocence ?? or for the fact that elephants have good memory and remember things ?? And last..You said you know you are not gonna be blogging this way for long !! That sounded assertive...and if its cathartic to you..then why not ?? Just loved this one :) Coincidentally, i had the similiar thoughts today, i wished i was still a kid with that plain, simple innocent mind! Somewhere somehow we loose it on our way..
Hi! Talking about elephants..I still remember when I came to India when I was 11, we went to Thiruchi Uchi Pilayar temple and there was a huge elephant. It was my first time face to face with an elephant. And when we went to take blessings, something watery came out of its trunk and went down my ear! I freaked out and jumped. And then got closer and the elephants was blessing me for like 5 minutes..wouldn't take the trunk from my head. It was kinda nice. Just thought I can share this experience with you. Take Care! The two wishes in the last paragraph deserve a wow!. God bless everything in the world! Aah!! Back to your best.....Awesome post!! Looking back we sometimes feel that we have come a long way.... Sometimes I really envy kids having fun for the fact that grown ups seem to be missing the spark.. :) Do read Chetan Bhagat's speech on 'Keeping the Spark' alive :) Copied it in one of my posts..
Ur style of writing is superb!I too had that habit of burrying my tooth but thinking it now,sounds silly.Reading abt ur hostel life i had tears in my eyes truly, bcos i too experienced such circumstances in my life once upon a time.Very much interested to be born in this world again as a child and blog like this everyday. The hot curd rice has got another tag along. Chinmayi brought a small dainty brown kitten from Pondy from my spanish student's home. This kitten would have only hot curd rice! Nothing else at all! One day I was very tired and tried bread and milk with her but in vain. I left her to starve expecting her to eat bread and milk. But she slipped from home (thro.the window? )wandered outside, tripped inside the water tank next door and died. They did not tell us for quite some time. We were searching for her and I was battling chinmayi's grief. That kitten Sony is still a big guilt in my pricking conscience. as krishnan said above, if u havent listened to the song "Return to Innocence" by ENIGMA. Pretty much captures the mood of the last paragraph in this post. And, amazing post. I usually dont post comments but this time, seeing the content and how much i could relate to what u wrote, i couldnt resist. I have never been tempted to post my comments on blogs. But this one was really touching. Oru chinna kulandaiyudaya ekkatha kan munne padam pottu kattiyadu. Praying to fall sick so her mom would visit...Gosh! My heart went out to that child .... Good job in penning it Chinmayee. A person of multiple talents ! All the best. Interesting post...it recollected some of my hostel days also exactly!! And you are really an all rounder Chinmayee!Way to go!! I recollected some of my hostel life,finding tears in my eyes. Those memories keep crossing my mind once in a while and I think..where have gone all those unforgettable days!!! When are you getting your iphone? I am a BIGGGGGGGGGGGGGGGGGGGGGGGGg FAN of yours! 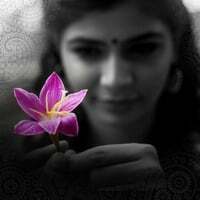 Hi Chinmayi...gud article..was going thru my husbands blog...and ended reading this article from ur blog...very true..how is wish I could go bac times...no worries..no ego...my small world of appa-amma-sisters..like how the appa character says in the movie"mudhalvan'...How I wish there was rewind button in life too! "...that would make life heaven..nywy hv fun blogging!! Very nice post. So this explains how the "Blue Elephant" name happened! Oh my God, I am amazed at the flow of your thoughts; this particular post of yours is impressive enough to be considered by Martin Scorsese to make a film out of it, recently i saw a movie by Martin Scorsese called good fellas though it’s a pretty old movie I just saw it recently, god it is one movie which has so many scenes but still makes for an interesting viewing, after reading this blog I just felt the same way I had felt after watching good fellas....LOL. I am vaishnavi a new blogger to ur site.. While readng ur i recollected my hostel times in children garden hr sec school.. In which i had the same experience i was there in the hostel with my sister bhairavi for 9yrs with the same feeling i too remember th bajans and ammama..The time waiting for the call for "VaishnaviBhairavi Parents"..Every weekend nd up with tears for misssing that call...We hardly see ou parents only on vaccation time..But stll on the last day of our exams we await for the call for parents...& can i ask u something...? r u from the same school or hostel.. I dont remmbr you do have any idea of knowing me or my sister..!! !